In 1993, the same year that President Bill Clinton signed the National and Community Service Trust Act, the first group of students, many of whom had dropped out elsewhere, arrived at Eagle Rock School & Professional Development Center to begin their studies and to participate in the design of the school’s culture and academic program. Eagle Rock is a school for high school age students and a professional development center for adults, particularly educators. The school is a year-round, residential, and full-scholarship school that enrolls young people ages 15-17 from around the United States in an innovative learning program with national recognition. The Professional Development Center works with educators from around the country who wish to study how to re-engage, retain and graduate students. 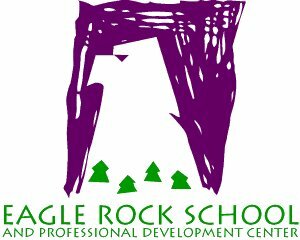 We provide consulting services at school sites and host educators who study and learn from Eagle Rock practices. After my service year in 1994 with Public Allies Milwaukee, I joined the Eagle Rock team in its third year of operation. I later founded the AmeriCorps Public Allies Teacher Fellowship Program at Eagle Rock where, each year, twelve individuals are provided with an advanced yearlong service and leadership development program focused on education and youth development at the nationally recognized Eagle Rock School and Professional Development Center. Through our unique service and training opportunity, Public Allies Eagle Rock Fellows gain skills that will make them effective teachers (many earn a teacher’s license) and youth workers. Fellows work and live together in community with eleven other AmeriCorps participants, students and staff at the school’s state of the art facilities in the Rocky Mountains northwest of Denver. Colin Packard, AmeriCorps Alum (Public Allies Chicago ‘12) & current Public Allies Teaching Fellow at Eagle Rock, produced a submission to the Colorado Legacy Foundation’s “Ignite Innovation Challenge” that highlight a couple of ways we personalize learning for our amazing students. You & the rest of the AmeriCorps Alums community can help us win. Please vote now (you can vote once per day through 3/25 by clicking this link then voting at the yellow “vote” button!) It’ll take a couple of minutes and you can make all the difference in showing the nation the impact our AmeriCorps members are having on our students. 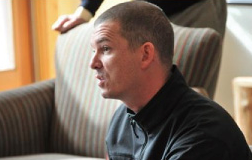 Dan Condon is an education activist and currently serves as the Associate Director of Professional Development at the Eagle Rock School & Professional Development Center, a Corporate Social Responsibility initiative of the American Honda Education Corporation, a nonprofit subsidiary of the American Honda Motor Company. He served in the inaugural AmeriCorps class in 1994, received the 2010 Governor’s Commission on Community Service “Still Getting Things Done” award and marched with AmeriCorps Alums in President Obama’s first inaugural parade in 2009. We are delighted to report that our Colorado Legacy Foundation “Ignite Innovation Challenge” submission finished in 4th place out of 32 submissions. The top 8, including ours, now progresses on to the private judging round where education stakeholders will review the Top 8 Finalists and determine the prize level each of the Top 8 entries will receive. The award announcement will be publicized on April 17. Thanks for your vote!